While the BMW didn’t have a booth at the Detroit auto show, they did reveal the 2020 7 Series Sedan during the media days of the show. The upcoming Bimmer gets some new styling, updates to its powertrain, and some revised high-tech features, including an option for hands-free driving under certain circumstances, that should make them more useful and a lot sleeker. The flagship sedan now also matches its new X7 SUV counterpart thanks to its dramatically enlarged kidney grilles. In fact, they’re 40 percent bigger than before, and they lend a newfound sense of presence to the biggest Bimmer four-door. Other changes to the 2020 7 Series include updates for the optional V-8 engine and a revised plug-in hybrid model. At the sides, the Air Breather emphasizes its distinctive character. The leather upholstery with extended stitching and the high-quality interior trim strips highlight the interiors utmost luxurious ambiance. The highlight of the design changes are at the back. The slim light strip that extends across the full width of the tailgate connecting the taillights is sleek and modern. Speaking of which, the new clusters are 1.4 inches slimmer than on the outgoing model and have a new design. Inside the cabin, you’ll see BMW’s latest generation digital instrument cluster also featured in the 8 Series and X5. The Bavarian manufacturer also gave us new leather and trim options, as well as improved acoustic comfort. Standard equipment for the model now includes wireless charging located immediately in front of the cup holders for easier access. Pretty cool, right? The newest 7 Series will offer almost the entire suite of BMW engines. You’ll find you can get this luxe sedan with a V12, V8, and I6. The 6.6-liter V12-powered models top the 7 Series trim levels, having the 760i badge of honor, and make a rather impressive 600 hp and 627 lb-ft of torque. The V8-powered all-wheel-drive models can still jump to 60 mph from a complete stop in 3.9 seconds. If that isn’t fast, we don’t know what is. The plug-in hybrid version sports the 745e badge, and its trim expands the line of electrified 7 Series Sedans. The 745e combines an electric motor and a straight-six gasoline engine for a combined 389 hp. Torque is up too, over the base model, with the whole system throwing out 442 lb-ft of twist. That’s a lot of torque. BMW also revised the eight-speed automatic, which is the standard gearbox on all models for the 2020 model year. It now delivers quicker and smoother gear shifts and comes as standard with a Launch Control function. While BMW has always been miles ahead of the competition in terms of tech-savvy cars and luxury, what’s notable about the 7 Series Sedan is just how much new gadgetry is under the sheet metal, out of sight of the driver. Smarter cars mean better driving experiences. Better driving experiences are synonymous with BMW. The 7 Series also features a direct link to the navigation system. This allows the most preferable gear to be selected for the road ahead. That means fewer unnecessary shifts during corners, for instance, or making more use of engine braking when you’re pulling up to a junction. This model also taps into its cameras and radar sensors, keeping close watch of the road conditions around it. If you’re only going to be stopped for a very short period, the Auto Start Stop system won’t shut off the engine, since the car can recognize that it’s less efficient than just keeping it running. 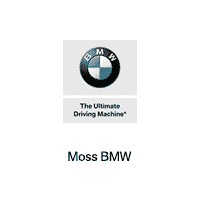 Depending on the conditions, the BMW can also choose whether to enable the coasting mode, saving gas in the process. As with the transmission, there’s integration between Extended Traffic Jam Assist and the navigation data onboard. The BMW can automatically slow itself at corners, junctions, or turning circles in the route ahead. Its HD cameras are used to locate and understand speed limit signs, and it automatically adapts the car’s pace accordingly. It doesn’t drive itself, but wouldn’t you rather have that in your hands? That’s part of the joy of a BMW. Then again, who needs a list to decide whether this new 7 Series Sedan is essentially a work of art? Just look at it; it’s a BMW. You can expect nothing less. Contact us today to learn more about this new model!